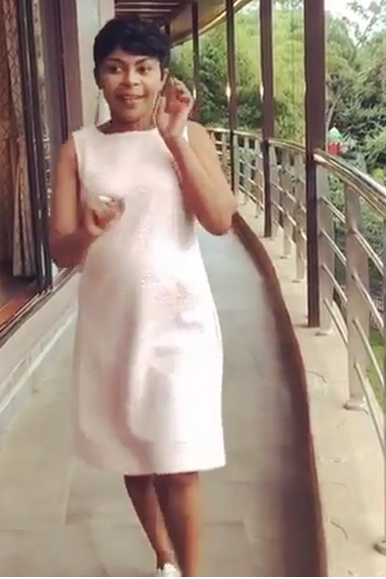 Thursday, December 13, 2018- Gospel singer Linet Munyali alias Size 8 Reborn and her celebrity husband Samuel Muraya popularly known as DJ Mo are expecting baby number two. 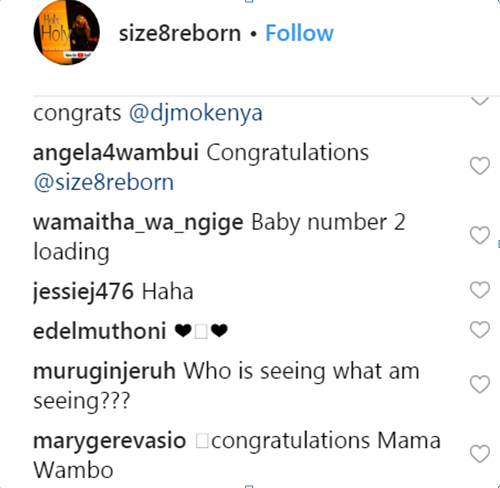 The celebrity couple has a three year old daughter called Ladasha Wambui Muraya. 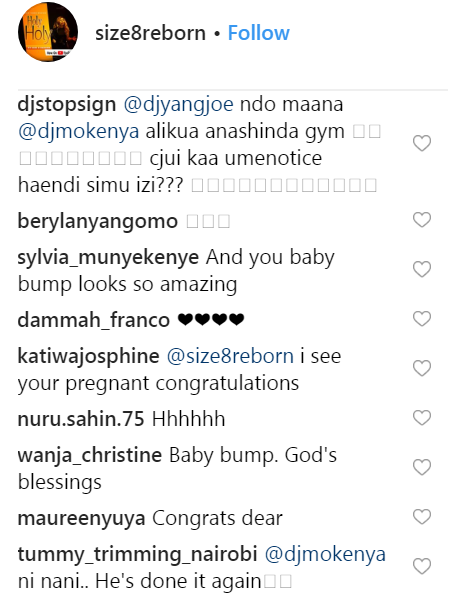 While she has not confirmed whether she’s indeed pregnant, the growing baby bump can be seen from her latest photo on Instagram and fans have been sending her congratulatory messages. "I will not deny nor confirm but let us wait and see, time will tell," she said in an interview. "I have finally overcome my fear because I need to trust in God, and I am ready for any blessing, either baby boy or girl. “Vile tu God atajiskia let his will be done. See the photo and comments below.